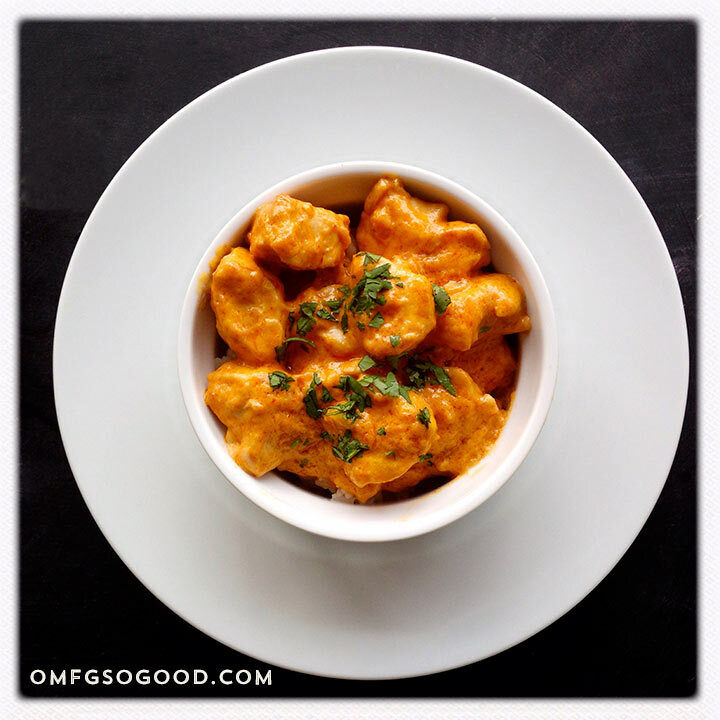 coconut curry chicken | omfg. so good. He’s convinced it’s because I don’t like Thai food. He’s wrong. It’s because the two times we went to Malee’s on Main while dating, we ended up fighting. Big time. That place has bad juju for me. I’ll just eat my Thai food at home where the only arguments are over who gets the last serving, thank you very much. And since I have now perfected my very favorite Thai dish, there’s no reason to ever leave the house again. In a large saute pan, whisk together the curry paste and coconut milk, then add the fish sauce, ginger and lime juice. Simmer, uncovered, over medium heat, stirring occasionally. In a separate saute pan, heat the olive oil over medium heat then add the cubed chicken, onions and minced garlic. Saute over medium heat until the chicken is just cooked through, then transfer to the sauce pan and stir to evenly coat. Simmer over medium-low heat for another 3 – 5 minutes to infuse the flavors. Serve over cooked white rice and sprinkle with minced cilantro and mint leaves. I really want to eat this right now. Get in my belly, Coconut Curry Chicken.